March 6th, 2015 was Dr. Per Vilhelm Bruel’s 100th Birthday. The Pro Audio Encyclopedia celebrates the occasion with this article by David Klepper. 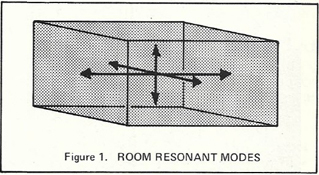 This is a must read for anyone working in acoustics, whether architectural acoustics, community noise control, equipment and transportation noise and vibration control, sound reinforcement systems, home entertainment, recording, or whatever. Much of the important history of these fields can be found in this book, and not available elsewhere. For me, it compliments Sound Ideas, the history of Bolt Beranek and Newman, and Can You Hear Me? 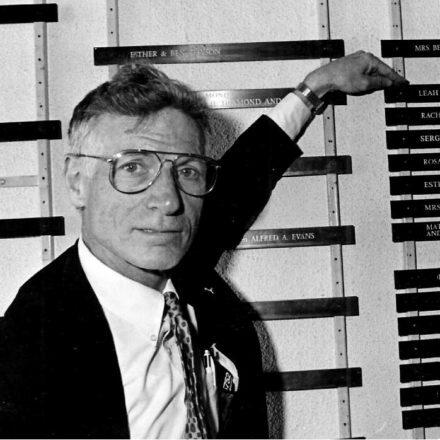 The late Martin Hirschorn’s autobiography and history of Industrial Acoustics. Like these books, it is very well written. Indeed, I planned to read through the book in a week, but found it to be as engrossing as a fine thriller novel and impossible to put down. In addition to anyone interested in acoustics, the book should be of interest to aviation fans, anyone interested in developing corporate educational programs, and the art or business management. In addition to the two major authors, the book includes autobiographical sketches of five individuals that were (and some still are) important to Bruel and Kjaer’s products and business. 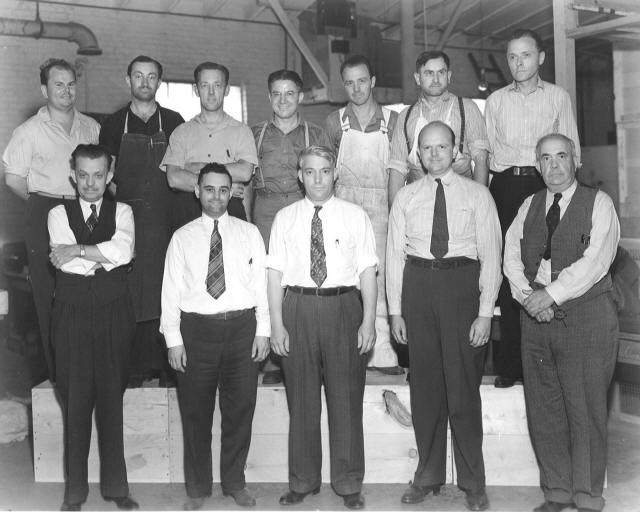 The two major authors also had parts to play, and for Jack Mowrey, a major part for B&K’s success in North America. Special mention must be made of Appendix B, where one reads the specific contributions of some 74 scientists, engineers, and businessmen who made Bruel and Kjaer great and advanced the science and art of acoustical and vibration measurements. Altogether, one gets a fine sense of the management style of the years when Per Bruel and Viggo Kjaer ran the company, with the important third partner Holger Nielsen “who ran the daily operation.” It was a management style was well suited to the the “Cold War” era, a management style that made both customers and employees happy, but which did not adapt to a temporary period of a rapidly shrinking market. This part of the story contains several lessons for business school students. But the two principles continued to provide useful help to a new management, and the kind of estrangement noted in Martin Hirschorn’s book noted above was avoided. 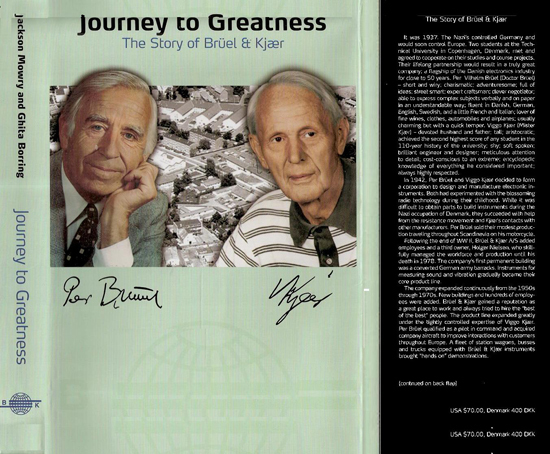 In building a worldwide business, Bruel and Kjaer sold products to Communist countries, including both Russia and China, well before the “Thaw” appeared. 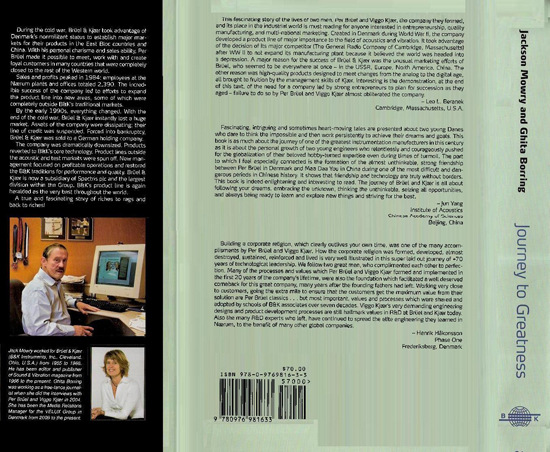 Some insight into the situations facing western businessmen in working in these environments is available in this book. The visit of the Soviet Commerce Minister to Per Bruel’s island summer cottage is particularly revealing and amusing. The technology pioneered by Bruel and Kraer is thoroughly explained, but not all in one place. Some is found in the individual autobiographical sketches, and others as related to specific business developments. There are good photographs and diagrams. Altogether, my own impression from working in acoustics for over forty years in North America, Israel, and South Africa, that Bruel and Kjaer had a major role in the advancement of the science, a role possibly equaled but not surpassed by any other firm, worldwide, is confirmed by the facts presented in this book. Sound and Vibration Magazine published a biography of Dr. Bruel in its February, 2015 issue.